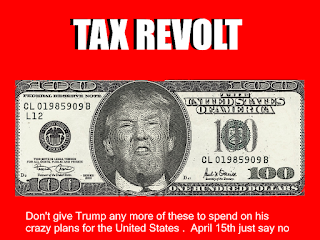 NO WAY: Tax Revolt may be the only answer to the Trump problem. 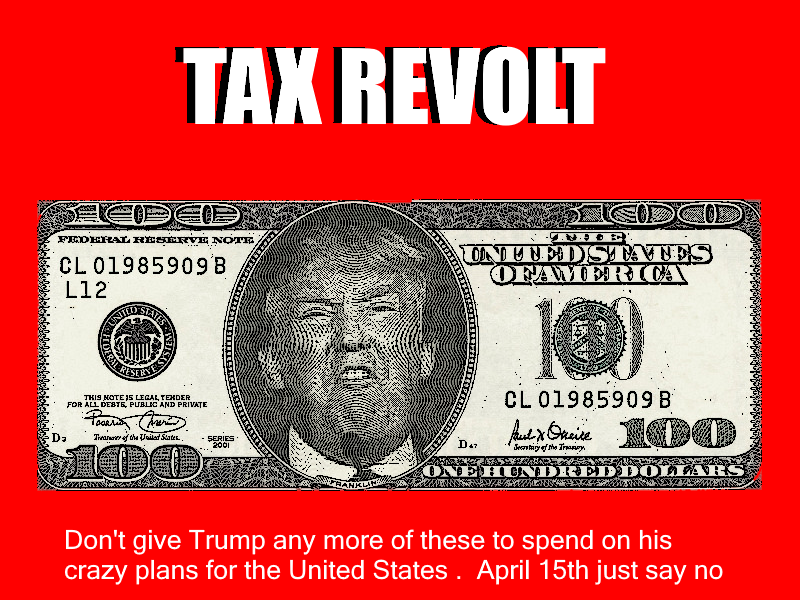 Tax Revolt may be the only answer to the Trump problem. Maybe it's time to let the government know who their working for The American Revolution first was started because of something called taxation without representation . When was the last time you thought the federal government was representing your interests? Now under Trump I personal feel that my interests aren't represented at all. That Trumps vision of America isn't anything I want. Plus I know the Republican Congress will not be growing a pair anytime soon and do something about Trump. Which one do you think will get their attention the most? I'm leaning toward my own form of Boston Tea Party and not funding the Trump agenda. Me by myself doing that will be an empty gesture but millions of American doing that will wake the GOP up.